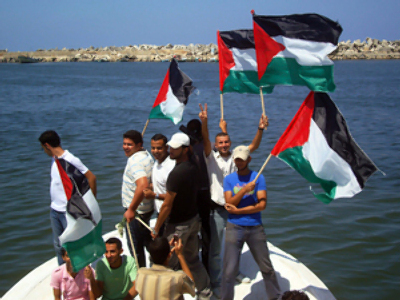 Yesterday the Freedom Flotilla was waiting for the last group of campaigners to get onboard. A group of European parliamentarians was to set out from Cyprus to join the fleet, but Cyprus authorities would not let them. The parliamentarians made up of Ireland’s Chris Andrews from ruling party Fianna Fail, Aengus Ó Snodaigh from Sinn Fein, and senator Mark Daly; Swiss PM Mehmet Kaplan; former Italian senator Fernando Rossi; Hedy Epstein, an 86-year old US citizen whose parents were killed in the Holocaust; Kiriyak Tsonev, a former Bulgarian envoy to all Arabic countries; Oslo city council member Erling Folkvord; as well as Swedish journalists and writers from Sweden and France – all these people had spent 18 hours trying to board ships in Cypriot harbors to join the Gaza Freedom Flotilla that was waiting for them. The flotilla, made up of nine ships, is to bring 10,000 tons of humanitarian cargo into Gaza, including medicines and notebooks, along with about 700 people: MPs from Israel and Germany, writers, scientists, two Al-Jazeera camera crews, newswire writers and TV journalists from Norway, Sweden, Bulgaria and France. Free Gaza movement spokesman Greta Berlin, a US citizen, says the aid to be brought in by the Freedom Flotilla will not be enough to provide all of Gaza’s inhabitants with the medicine and essentials they need. The campaign, she stresses, is an act of solidarity with Palestinians who have been suffering an illegal blockade for three years while the world community kept silent. According to Ms. Berlin, the flotilla has already achieved its main goal of letting the world community know that the injustice that is happening in Gaza has to stop. She also says it was important that the message be delivered by Western politicians and diplomats rather than marginal leftist activist groups. Berlin believes that, regardless of whether the last group of campaigners will manage to join the rest of the flotilla, Israel’s blockade of Gaza will be breached. 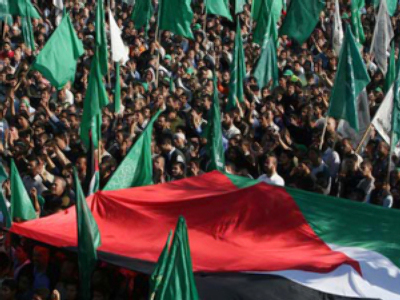 The world community’s attention is focused on the flotilla’s actions and plenty of resources have been gathered that are to go to the Palestinians. The public isn’t quiet at all, however. One of the flotilla’s ships has been furbished by the European Union. European Union MPs and diplomats are present on board some of the ships. EU High Representative for Foreign Affairs and Security Policy Catherine Ashton has recently issued a statement in support of the flotilla’s mission. Ashton herself recently paid a visit to Gaza and told the press she was appalled by the situation there. 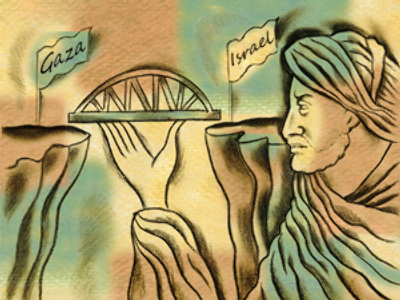 The UN representative in Gaza has asked the flotilla several weeks ago to deliver the aid. Nonetheless, the Cypriot authorities who had always provided Free Gaza with a haven and a sea lane took up a different attitude this time. Yesterday, in Port Alaminos around 19:00 the group was blocked by four police cars, motor boats and a helicopter. The group had been urged to arrive in Port Alaminos by the Cyprus negotiators from the local government, who promised that from that point they would be able to send people to the flotilla. According to Irish parliamentarians, Greek Cypriots had been spinning out time since 07:00, having made the group move to another haven, where the police were waiting for them already. And when the group headed towards Northern Cyprus to move further to rejoin the flotilla, the Greek Cypriots once again promised that they would have a chance to depart from Alaminos. The police arrived immediately, and the helicopter had been wheeling in the air until the Europeans left the haven. However, one of the negotiators from the Greek Cypriot side announced the reason for such actions by Cyprus. According to her, it looks like Israel is putting pressure on Cyprus, having promised the Greeks that if they allow the European parliamentarians to depart from Cyprus, they will recognize Northern Cyprus. Envoy Kiriyak Tsonev doubts if the recognition is possible. While the flotilla was preparing for sail, an international military exercise kicked off at Cyprus. Larnaca was flooded with military officials, there were helicopters flying over the haven, and ships from different countries were moving in the sea. According to one of the Russian officers, this is a regular exercise; it’s not a NATO exercise, as Cyprus is not part of the alliance. Irish MP Chris Andrews from the ruling party, who visited Gaza in October 2008, said that there was no electricity during the three days that he spent there, and that people’s living conditions were unbearable. He emphasized that he had seen Gaza before the 22-day war of 2008-2009 that inflicted huge destruction. “I support Palestinians, because there is a large-scale and criminal injustice committed against them. I believe that international community must insist on putting a stop to this anarchy. There is no anti-Semitism whatsoever in our demand. We are talking about stopping the blockade, we are acting under the law, and no one has a right to accuse us of such things,” Andrews said.